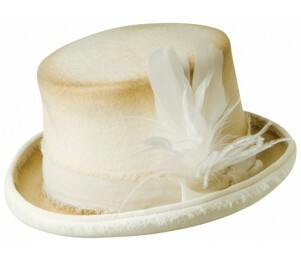 Top hats are perhaps some of the most well-known pieces in the world of formal attire. The look has become iconic throughout the decades, making appearances on the heads of important politicians, dapper gentlemen and even children’s cartoon characters regularly. 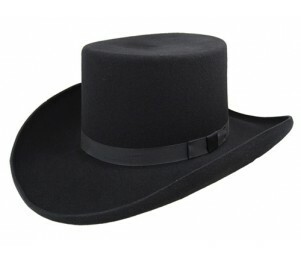 The most well-known type of top hat is the tall one, with a slightly curved brim and flat top. 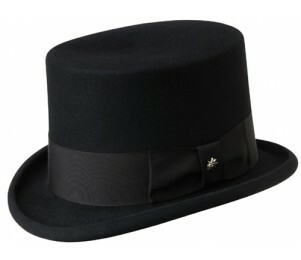 While this is certainly the basic shape for nearly any top hat available, the tall “Honest Abe” appearance is not the only option. Many top hats are shorter, and hardly rise over the crown of the wearer’s head at all. Any wearer can also appear “mad as a hatter” with the Mad Hatter top hat available for sale, which boasts a 2” brim and a slight flair at the top, all bound up in a grosgrain hat band and a bow.